Bongiwe Njobe is a Fellow of the Inaugural Class of the Africa Leadership Initiative-South Africa and a member of the Aspen Global Leadership Network. She is the Executive Director (founder and sole proprietor) of ZA NAC Consulting and Investments. She started on this venture after almost ten years working in the Fast Moving Consumer Goods Sector (FMCG) sector and over ten years in the Agricultural Public Sector. Between August 2008 – September 2013 she was Group Executive:Corporate Sustainability at Tiger Brands Limited, during which time she also served on the Tiger Brands Board and was a Founding Trustee of the Tiger Brands Foundation. She was responsible for instituting the Tiger Brands Foundation as well as developing and driving the implementation of the Tiger Brands – Environmental Sustainability, Corporate Social Responsibility, Enterprise Development and Communication Strategies and Programmes within the organisation. Between March 2004 and July 2008 Bongiwe Njobe was the Corporate Affairs Director and at The South African Breweries Limited. (a subsidiary of SABMiller). At SAB she was responsible for maintaining and upholding The South African Breweries’s corporate reputation and for overseeing the implementation of its communciations, corporate relations activities, public policy … initiatives including the responsible drinking campaign partnerships. Prior to joining the private sector, she worked with academia whilst at the Foundation for Research Development (now the National Research Foundation) and at the School of Agriculture and Rural Development (University of Pretoria). She joined government in 1995 as Chief Director Natural Resources Conservation and was promoted to Deputy Director General: Programme Planning. Bongiwe Njobe served as the Director General at the National Department of Agriculture (South Africa) from April 1997 – February 2004 where as the top public official in the department, she was responsible for the development of policy and to oversee the implementation of agricultural development programmes in south Africa, agricultural trade negotiations and agricultural projects within South African bilateral agreements. 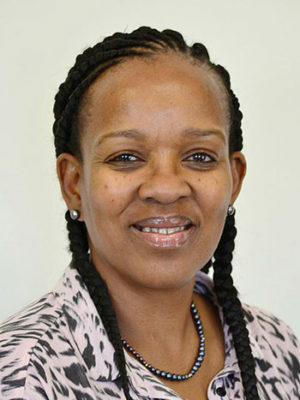 She currently serves as a Director on the Vumelana Advisory Fund, and the Pan-African Capital Holdings (PTY) LTD. She is an Independent Board Member on the Regional Universities Forum for Capacity Building in Agriculture (RUFORUM), a Trustee at the Kagiso Trust and the Kaggiso-Shanduka Advisory Board. She is a member of the High Level Advocacy Panel for the Forum For Agricultural Research in Africa (FARA) and a member of the Institute of Directors (Southern Africa) Sustainability Development Forum. She has previously served as a Board Member/Non- Executive Director or Trusteeof various private sector, NGO and parastatal organisations, including South African Forestry Company Limited; Trees for Africa; McCain (SA), The Industrial Development Corporation of South Africa Limited; Commissioner for the Presidential National Commission on Information Society and Development; Member of the South African Reference Group on Women in Science; a Panel Member for the Inter-Academy Council Study Panel on Science and Technology; Chairperson of South African National Biodiversity Institute; and Vice Chairperson of the Forum for Agricultural Research in Africa.